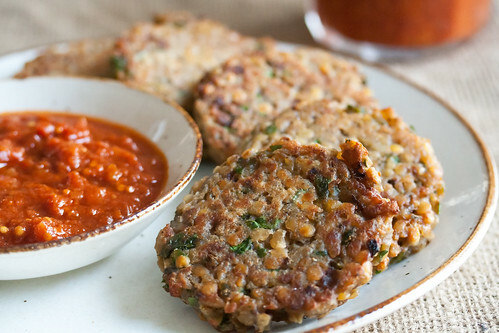 Feed your burger craving without the meat! It’s that time of week again, Meatless Monday! Even if you don’t follow a plant-based diet every day, ditching meat just one day per week can reduce the risk for heart disease, and a number of cancers, too. That’s not hard to believe considering all of these burgers are packed with nutrient-dense veggies and loaded with heart-healthy fiber. Scroll down to check them out! Bon Appétit! Via Mother Jones. This vegan recipes uses potatoes rather than eggs to bind the ingredients so it’s totally vegan. The taste is delicious and rich in mushroom flavor. Via Crumb. These Middle Eastern and Indian inspired patties are full of fiber, iron and muscle building protein. As far as meat alternatives go, these are actually better than the real deal. Via The Post Punk Kitchen. The Quarter Pounder Beet Burger combines brown rice, lentils and beets to create a BIG, juicy burger! Via Chef Chloe. This is the ultimate not-your-average veggie burger recipe! The patty is made from perfectly spiced black beans with slow cooked caramelized onions inside to add sweetness and moisture. Via Vegan Richa. 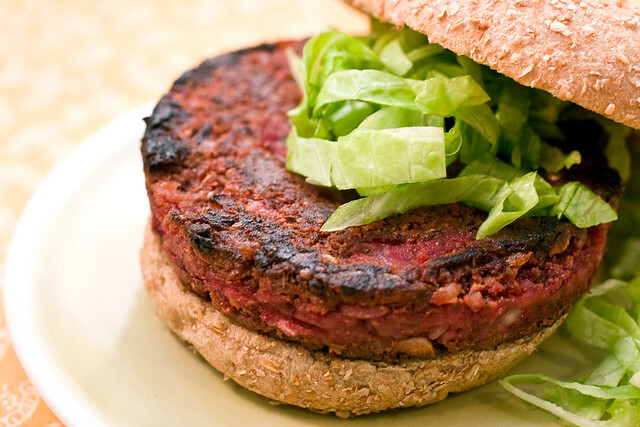 This site boasts 11 veggie burger and slider recipes but this one tops the list! The chipotle habanero mayo, onion rings, and roasted peppers are delicious additions. Who know so many mouthwatering thing could fit on one veggie burger! Via Plant Powered Kitchen. This burger recipe can be found on the Plant Powered Kitchen blog and in the book by the same author, Let Them Eat Vegan. The book even has an entire chapter about veggie burgers! If you don’t own this book already, get a copy as soon as possible. Bonus: These burgers can be frozen! Via Oh She Glows. 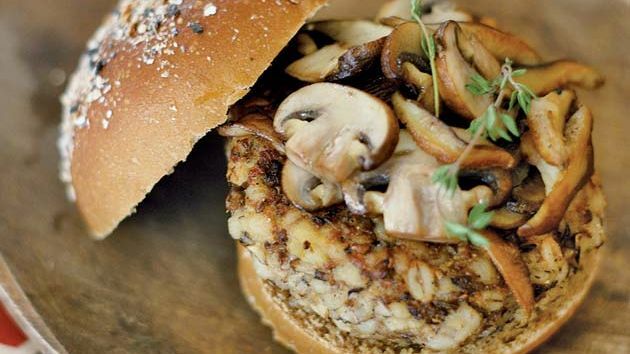 This is the perfect go-to veggie burger recipe. Make a batch and freeze ’em. They hold up well. Feeling a bit more adventurous? Check out Oh She Glow’s Thai Sweet Potato Veggie Burger with Spicy Peanut Sauce. Yum!